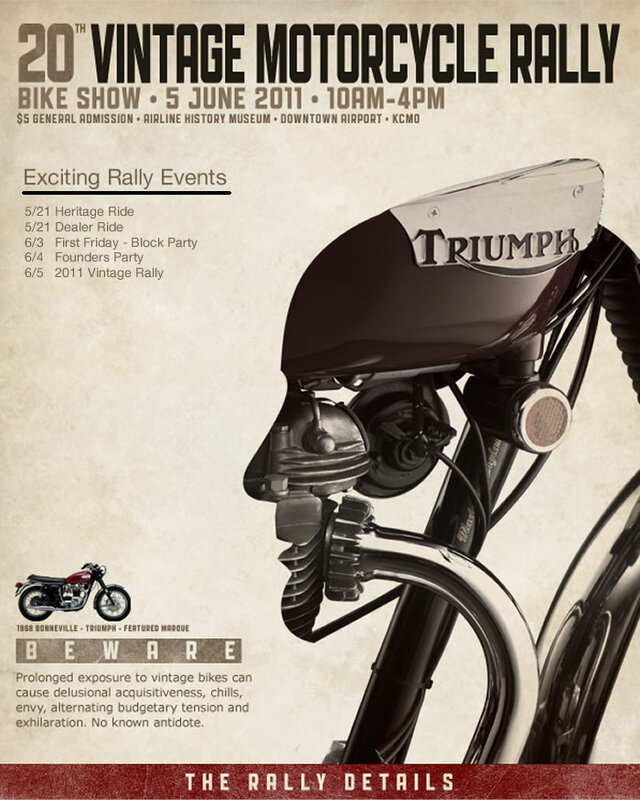 Arenowned meeting of vintage bikes next weekend in Kansas MO. 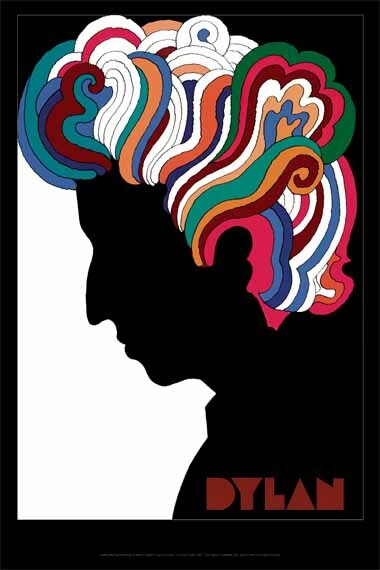 Triumph being the selected make of the promotional poster; itself having a Milton Glaseresque look about it… see Dylan album cover below. 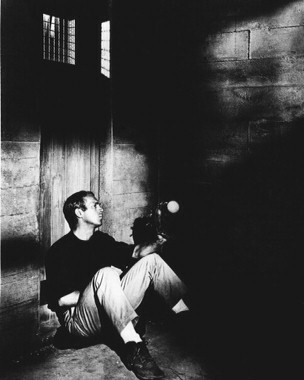 A week of Steve McQueen and The G.E. 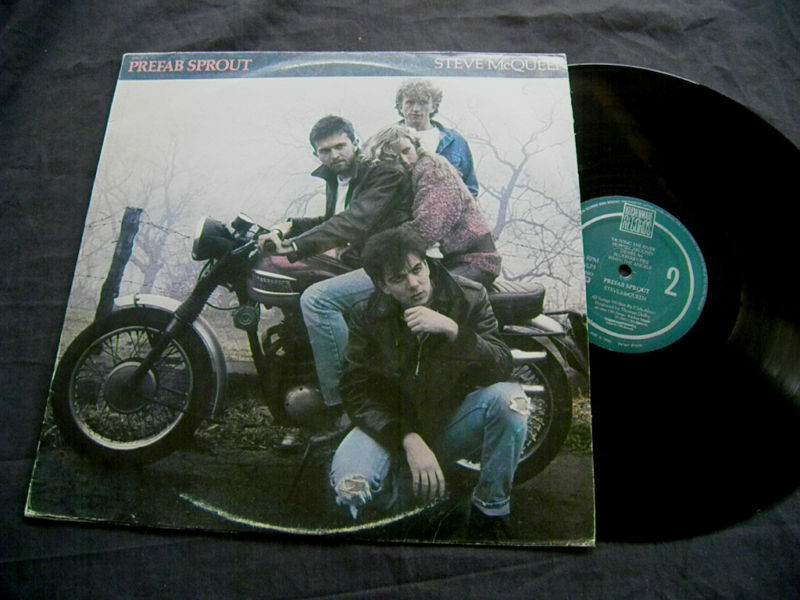 is closed off with this super narrow movie poster with the bike jump taking ‘center stage’, the black and white with turquiose highlight is cool too. 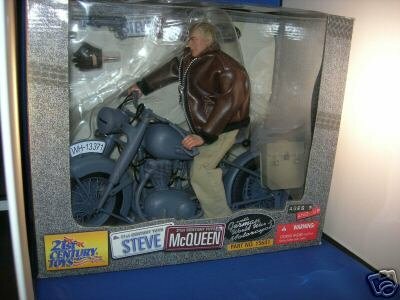 One last model kit featuring Hilts on his bike is this small diarama showing him in full posed evading capture. Simple assembly but a good paint finish would be essential. Plenty of images to reference too! 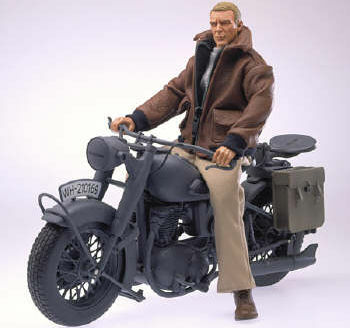 Keepin’ the theme going, here’s a 1:6 scale action figure and bike of Hilts on a german bike. 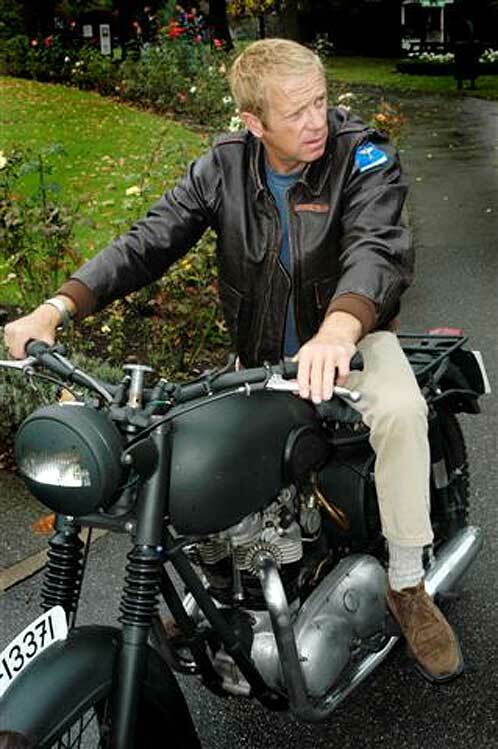 Well padded leather flying jacket and small baseball glove. All it needs is a ‘Cooler’ diarama as well as a fence jump ramp! 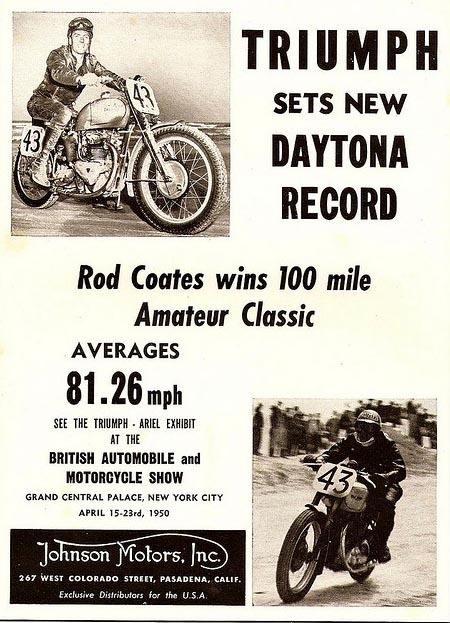 Now if they added the revving motor of an Evel Knievel Stunt Cycle…. too much fun! 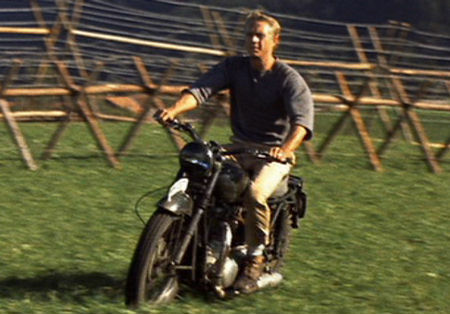 Here is an accurate 1:12 model of the bike used by Hilts to escape the Germans and the Stalag Luft. 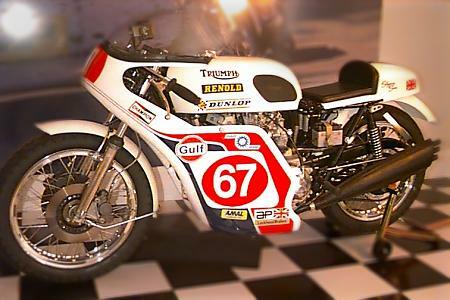 Actually a Triumph TR6, painted and detailed a little to replicate a wartime BMW R45 bike of the time; probably its because this is the model Steve and his pal Bud rode to great effect across the SoCal dessert. 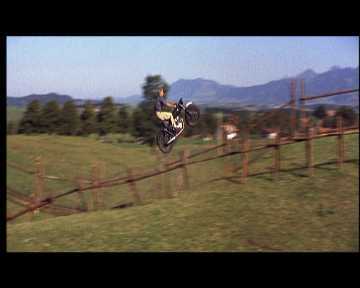 Nevertheless it is still one of the most classic bike scenes in ANY movie! Below: a replica built for the Imprial War Museum exhibition on the G.E. 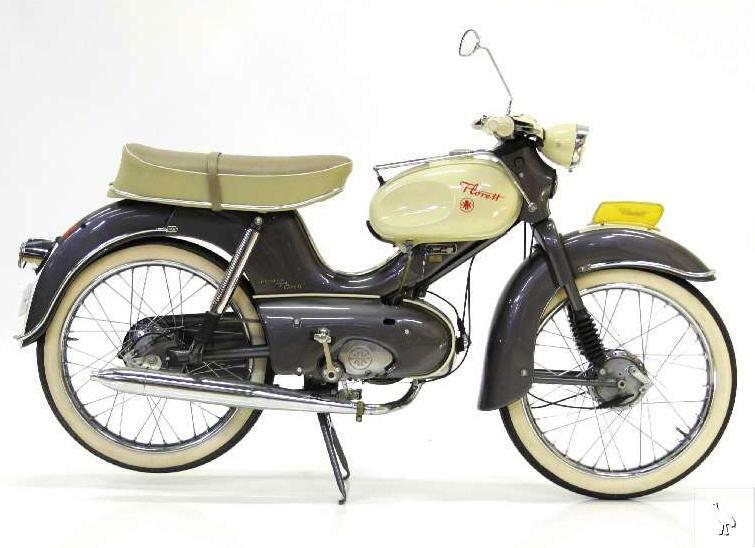 in 2005/6 – A 1960 T110. 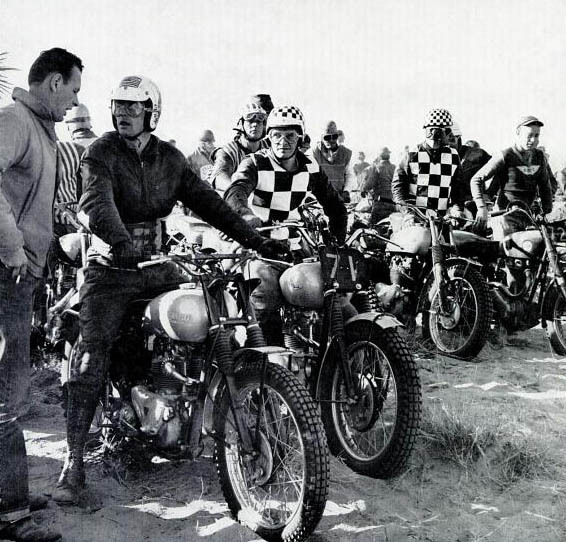 A great image of the Triumphs used for desert racing in south California. 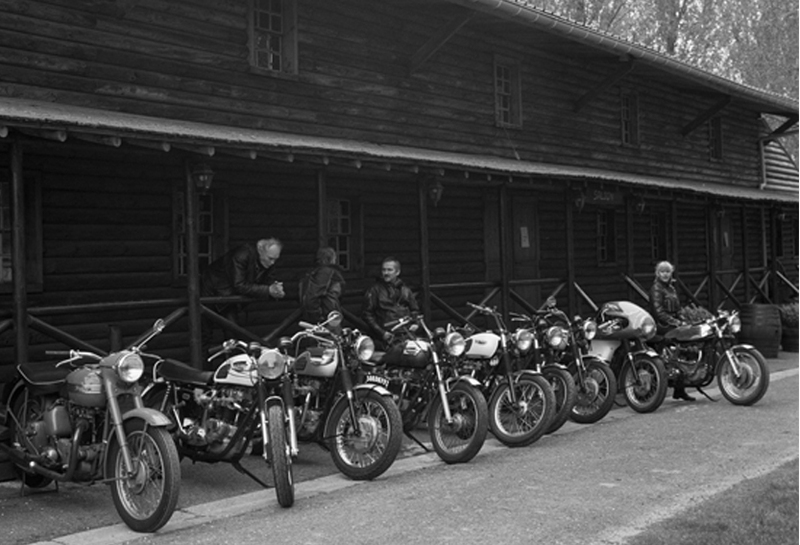 That first fella looks a lot like Bud Ekins; west coast bike shop owner and racer as well as pal to Steve McQueen. 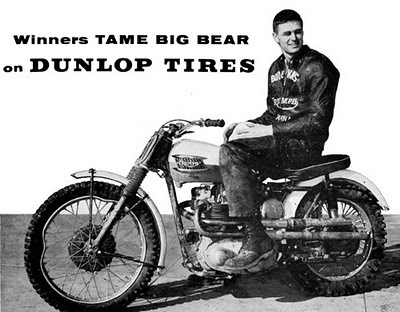 Here’s an early Dunlop promotional shot of Ekins and his Trumpet Iron; look at that front wheel! 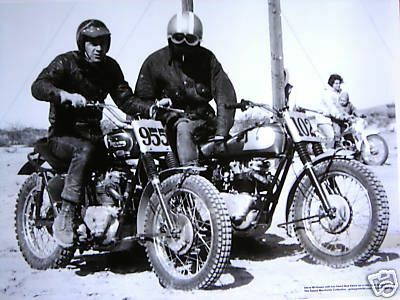 …and here he is with Steve havin’ fun on a Sunday desert race no doubt. 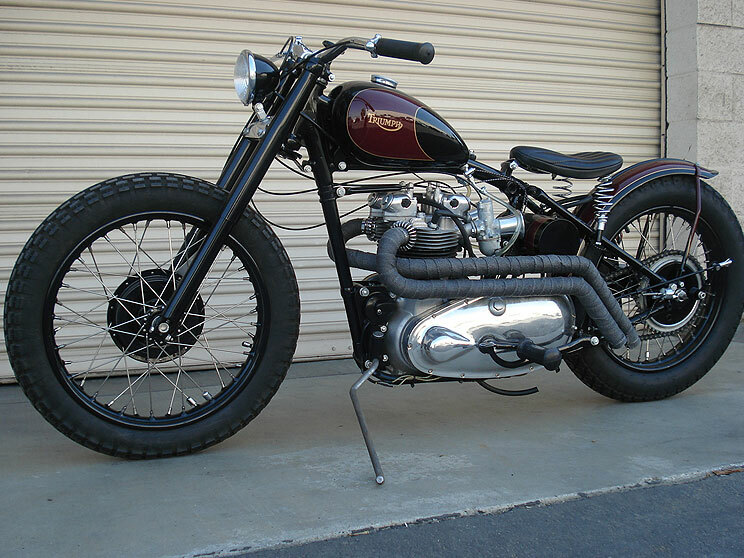 High Pipes and chunky tires. 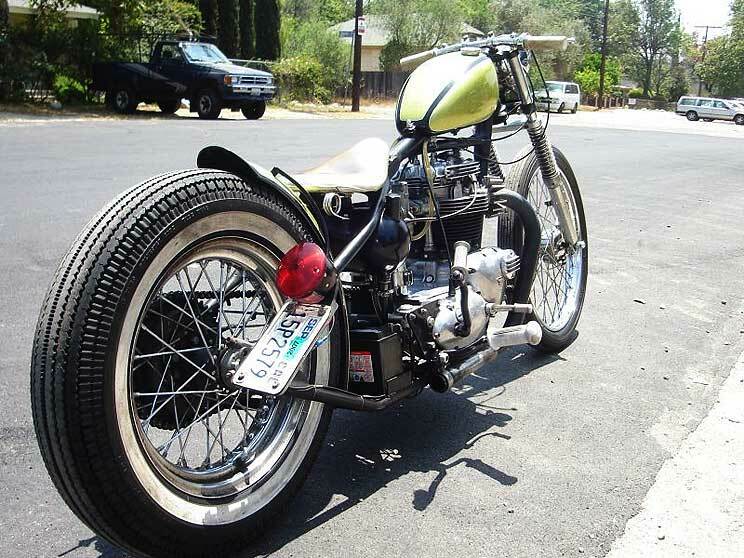 Webbed tank painting, pedal kickstart and springy seat. Lowbrow forsure. Whitewalls, lime green and throaty sound. Even the later oil-in-frame models get the hardtail treatment. And a black finished conical front brake, that ebony patina wont help! 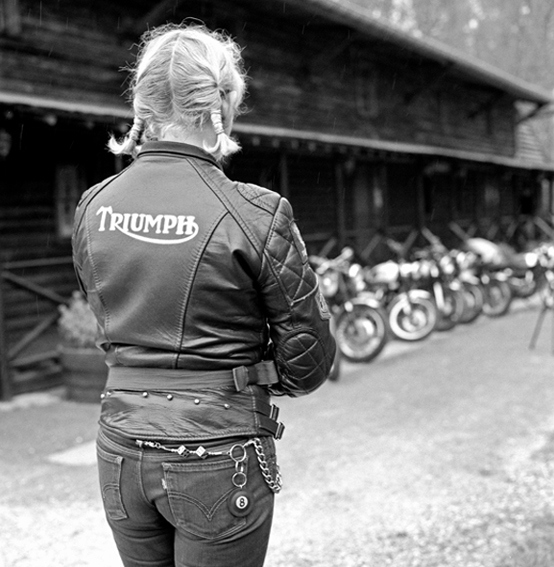 Thin saddle and unsprung… ouch. 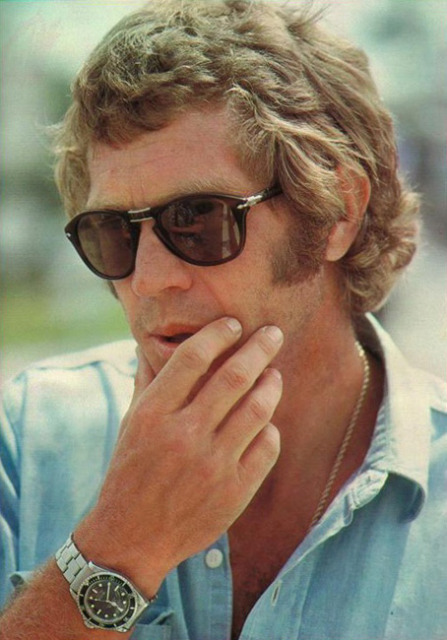 Steve McQueen fragrance should embody the timeless elegance, charm and mysterious character of the man who inspired it, both tough and sensitive, handsome and mysterious, melancholic and mischievous … This is a fragrance that reflects the man whose appearance set the standards of masculinity and elegance. 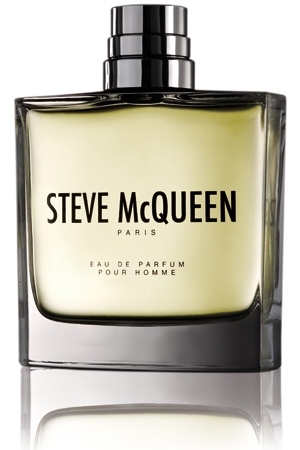 Steve McQueen perfume was launched on 20th September 2010 as 100 ml EDP. The perfume is available in collectable limited edition box at the cost of $190 or 140 euros. 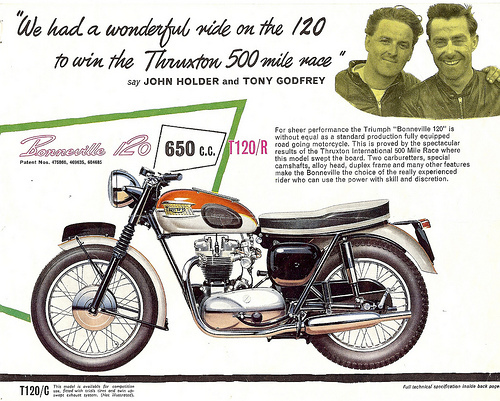 With the Trimph models being used extensively in racing of the period, especially endurance at speed, the engines proved themselves to the daily riders as reliable, strong units. No wonder they sold by the truckload. 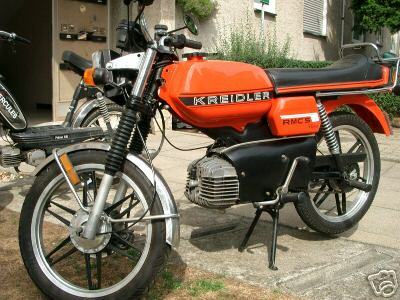 Another twho wheeled adorned with Gulf colours; this time a lesser know German make called Kreidler ~ although in the late fifties one third of German mped were Kreidler. 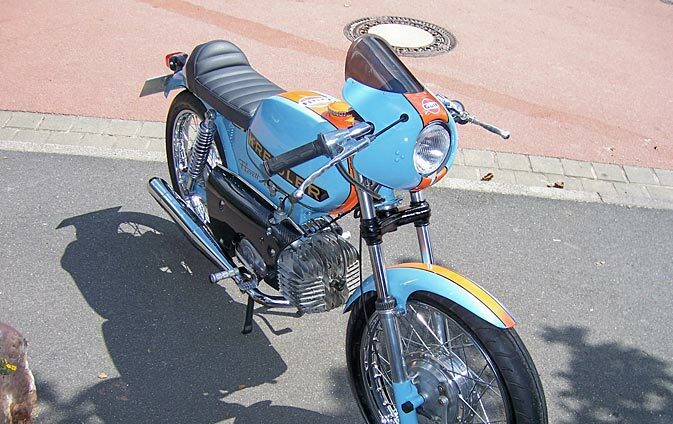 This is a 50cc moped, so quite a diminutive example of the race colors, especially with clubman bars. 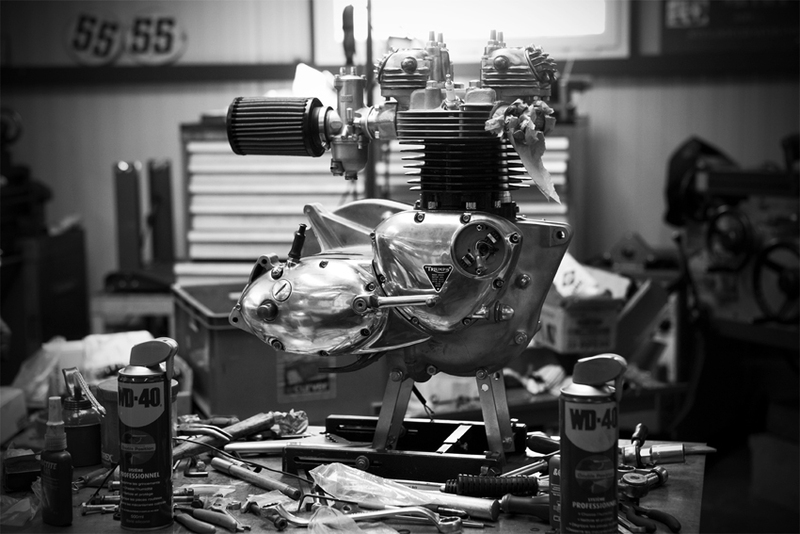 Although a small cc’d engine they did specialize to be Grand Prix winners in the 50cc class. 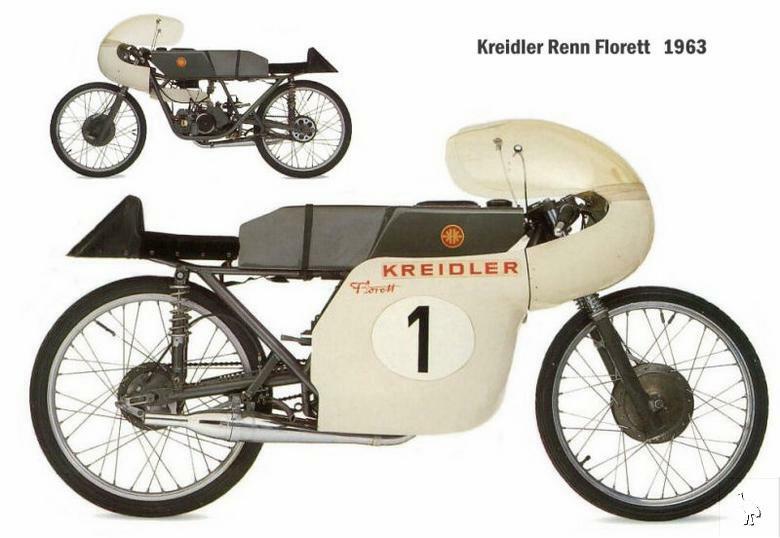 Their better know model of this “Florett” line is the earlier one, nearly Italia in its design lines. 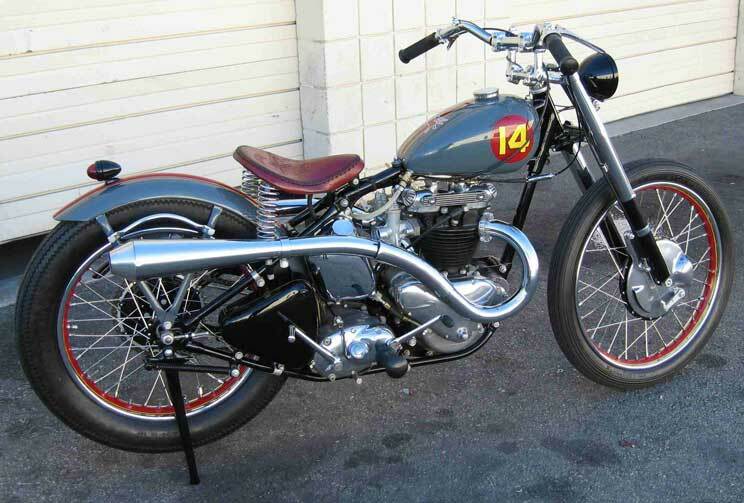 …and here’s the racer, a svelte marvel! 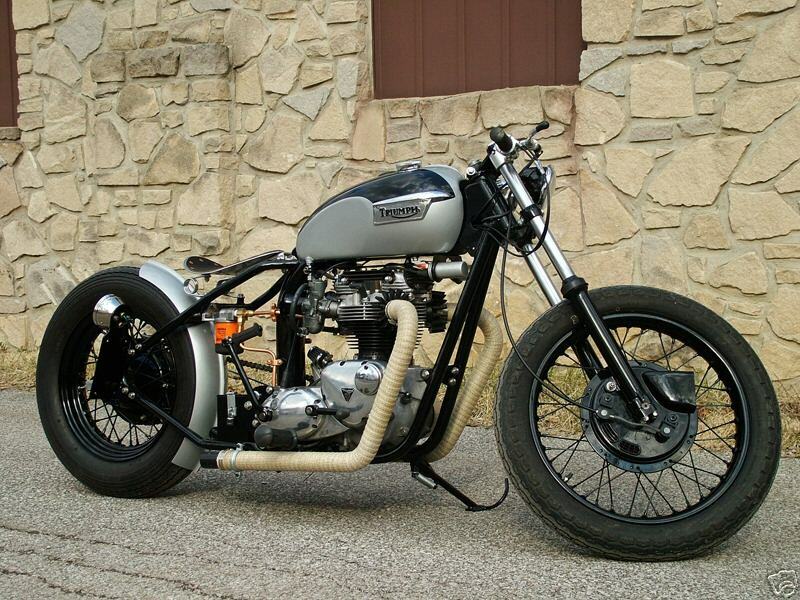 A very proud owner of a pre-unit engined Triton. 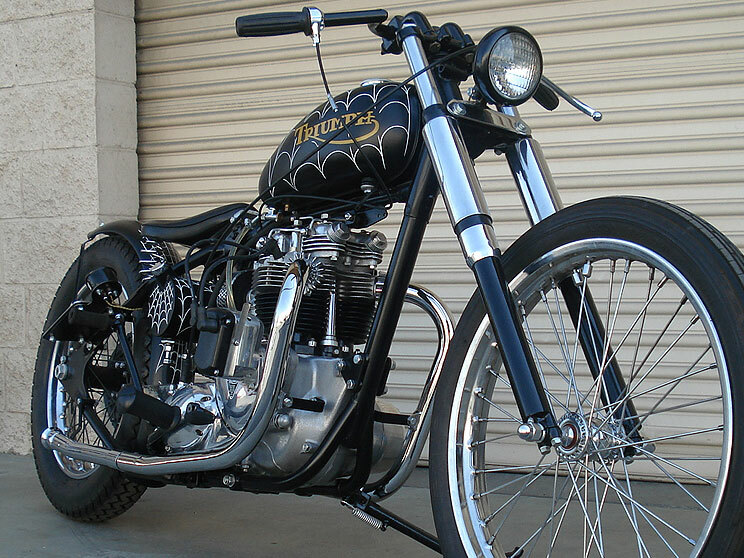 Nice high pipes, a solid 4LS front brake, low profile polished alloy tank. A swell machine. Let those who you pass at speed know what you’re riding! 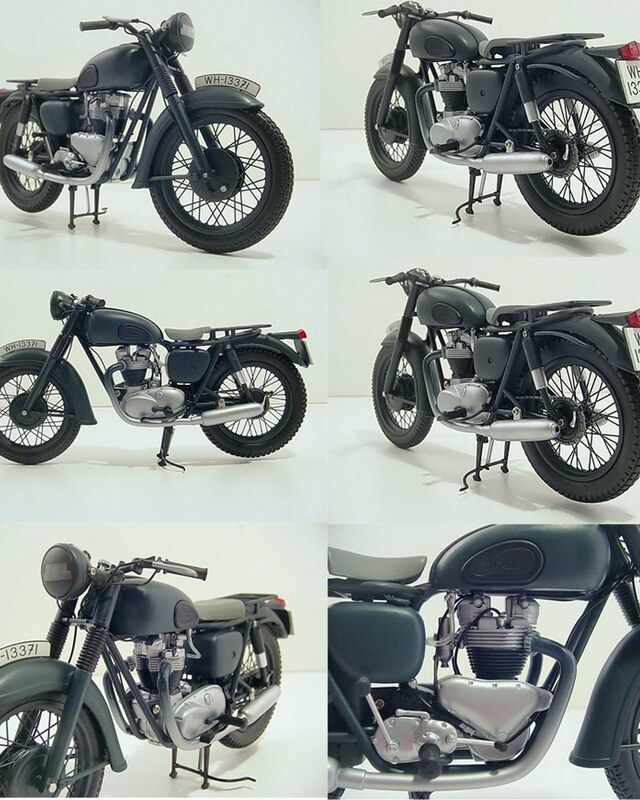 Gorgeous fairing clad Bonnie, alloy wheels, bum-stop seat, rear-sets, M-bars a true cafe racer. 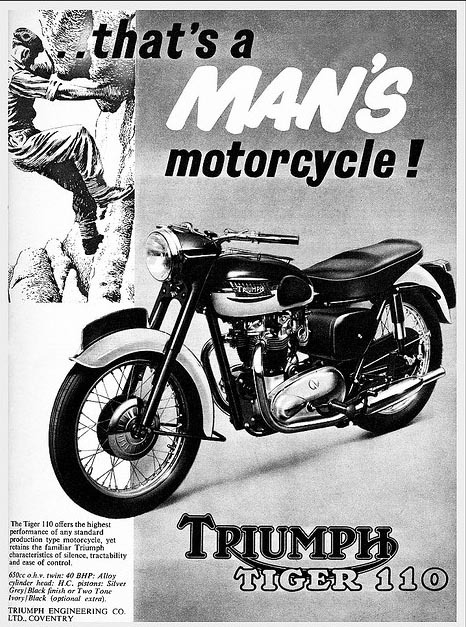 Back in the day when Lancashire working men Don WHillans and Joe Brown, were powering up new climbing routes over North Wales, the Lake District and the Alps, Triumph brought out their sporty model: the Tiger. Appropirate advertising. 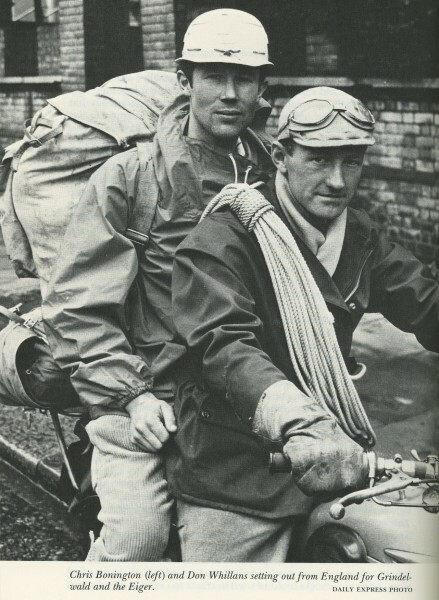 Here’s Don himself heading off to Grindenwald and an attempt on the North Face of the Eiger; Chris Bonington is pillion. Climbing helmet as a lid, mountaineering mitts for gloves; look at that hemp rope! 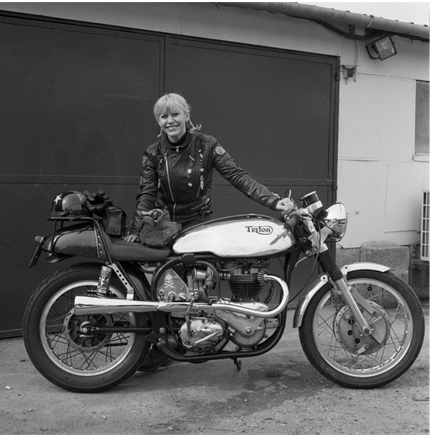 The bike is most likely a Triumph Tiger. 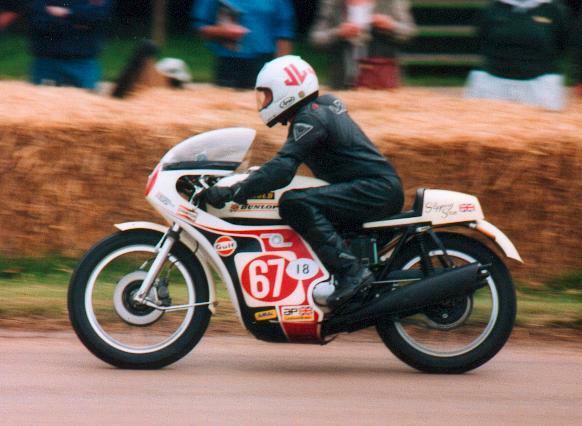 Here’s Mick Grant piloting this bike. A machne of definite charisma.